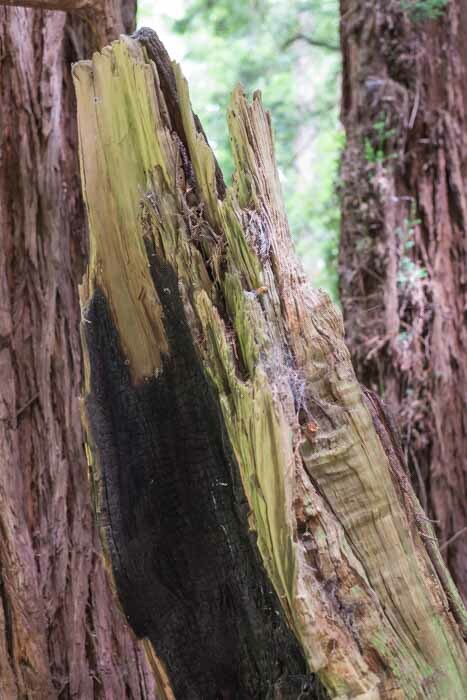 What caught my photo interest this visit to Muir Woods was where nature met man. Along the paths roots were exposed and worn by thousands of feet and were still part of a living tree. Another giant trunk with traces from a fire in the past. 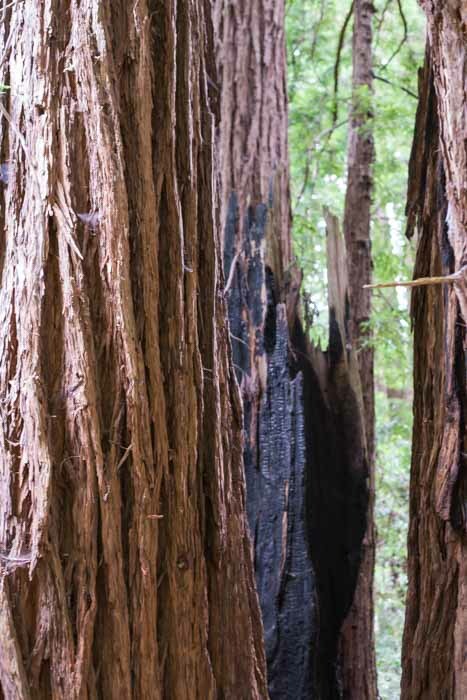 Another detail from the giant redwoods… Notice the burn. 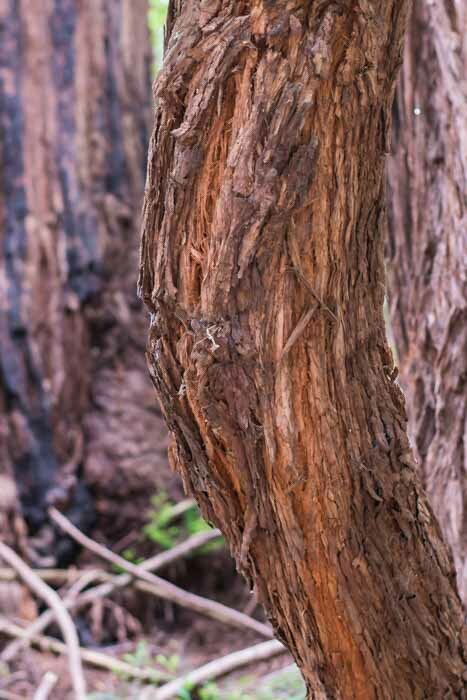 The tree have a natural fire inhibitant in their trunks. They need the surrounding growth to burn down regularly so they can have space to breathe and grow. Trying to photograph Giant Redwoods is almost impossible because, well, they’re giant… So I took my usual approach and went for details. 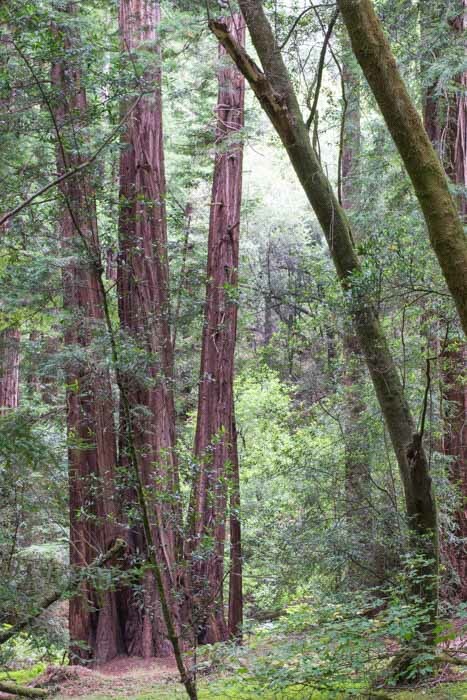 Muir Woods is very close to San Francisco, just north over the Golden Gate Bridge. 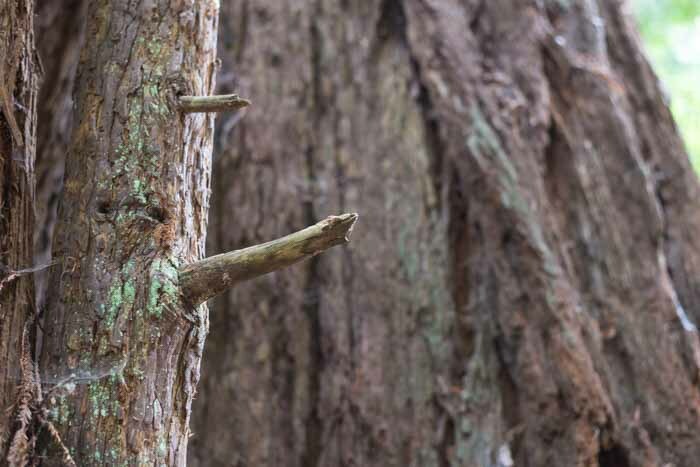 It is a small area of Giant redwoods, one of the few within easy reach of a tourist attraction so a lot of people pass through.